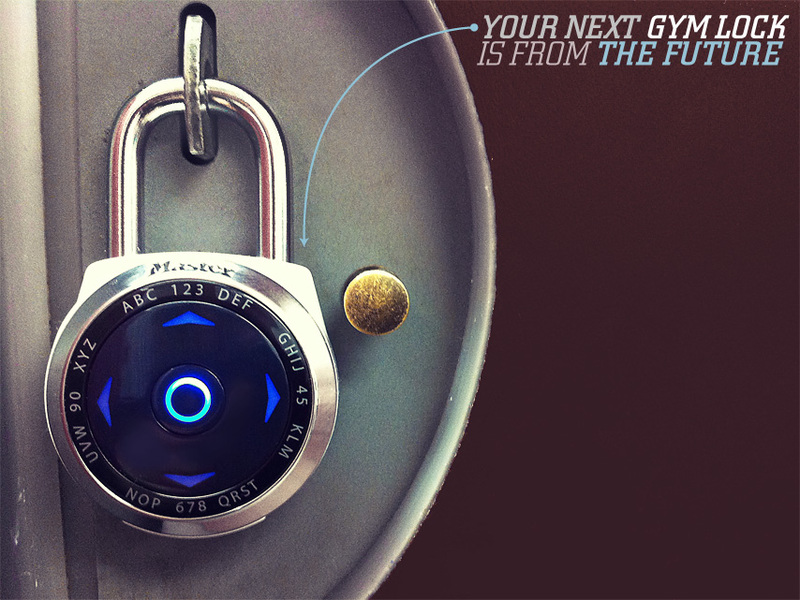 The modern combination lock hasn’t changed much since it was invented in the late 1800’s. The single-dial lock interface, which most of us are used to on school lockers and padlocks, has always been a bit clunky. Start by turning the dial two full times, stopping on the first number, turn left one whole turn, etc. Is it impossible? No. Can it be improved with modern technology. Yes. Masterlock has released a new series of electronic combination locks called dialSpeed, which offers a familiar gamer style d-pad interface. Simply enter the series of ups, downs, lefts and rights (remember any of your NES codes?) and the lock pops right open. The dialSpeed can have one primary code (not including the backup master code) and three guest codes. Even better, you can retrieve the backup master code if you’ve forgotten your primary code by visiting Masterlock’s Vault page. Useful if, like me, you’ve ever sat down with a forgotten lock trying to let your subconscious control your fingers. A code can be as simple as four positions and as tough as 12. I was worried about what happens when the battery dies. However, the lock stays secure, and the battery slot is only accessible while unlocked. When the battery needs replaced, there is a ‘jumper’ slot to stick the new battery until you unlock the shackle and gain access to the battery slot. The battery should last for about five years. Being electronic, best to keep this for locking down things indoors. Pick up the dialSpeed for $25. I have this lock and use it for the gym and it’s so much better to remember a “word” than a string of randomly assigned numbers. Well worth the $25. You’ll have to use at least 7 positions to have the lock be more effective than a padlock consisting of 4 numbers (4 wheels each with the numbers 0-9. You’d need at least 9 positions for it to be more effective than a lock with a rotating wheel on the front with 60 different numbers on it. Not trying to say this is a bad lock (for 12 positions there are 16,777,216 different possibilities. That’s a tough lock to crack). Just giving a comparison for anyone who wanted one. Thanks! Four is the minimum, you can use more.